Is your retirement money safe? Maybe if it’s in your hands. Fast-forward 20 years to the future. You’re excited about filing for social security benefits when you hear another report that the Social Security Trust Fund is drying up. But you worked and contributed to the fund your entire life and you just want the government to pay you back. Unless there are changes to the structure of the Trust Fund, it is not going to be that easy. The biggest problem with social security today is this: inflows to the Trust Fund are smaller than outflows. More is paid out in benefits to the current recipients than it is collected. We are in the period of time when the difference between inflows and outflows of funds is peaking, form now on the Trust Fund is only going to get smaller unless there are major changes to how it operates. It is projected that the Trust Fund reserves will get exhausted around 2033. At that time the Fund will only generate enough revenues to pay out about 75% of the benefits. With those benefits already at low level, this is a recipe for a disaster for millions of retirees. You may have never heard of Ida May Fuller but she was the first recipient of Social Security benefits. The program was in its early stages and she served as a perfect example for the broad acceptance of Social Security. She was also arguable one of the biggest beneficiaries of the program. With just three years of contributions, her total taxes amounted to $24.75. She went on to receive benefits for over 35 years that amounted to $22,888.92. It was possible in part because in the early days of Social Security there were on average 16 workers supporting one retiree. Ever sine the 1950s that number has been declining and today is a little higher than 2. This situation is only going to get worse as we’re entering the period of Baby Boomers entering their retirement age, longer life expectations, and low fertility rates. The future of social security benefits will affect all Americans and our consumption patterns, savings, and taxes. The problems of the Trust Fund have been known for quite some time but unpopular decisions are never easy to make and most often they are simply passed down from one administration to another. With the elections inching closer, we are beginning to witness the first round of confrontations on this topic. The newest proposal is to privatize portion of every citizen’s social security account. Whether or not it’s a viable solution, decisions need to be made before the time runs out. What are the government’s options? Increase taxes that will make up for the shortfall of the fund’s revenues. Extend the retirement age and start paying it out later. Reduce the payouts to the recipients. Increase your earning or contribute to an alternative retirement plan. Retire later – don’t claim your benefits once you’re eligible, work as much as you can. Adjust your expected budget while in retirement and assume to live on less or forfeit some activities you planned to do. Raising taxes is never politically accepted and lowering the payouts could spark a social unrest and push many into poverty. On the other hand, postponing payouts is something that’s happened in the past and most likely will happen again. It is the least objectionable option and it can be argued now that as life expectancy continues to grow, postponing the time one can apply for social security benefits is only logical. Whatever decisions the government takes, it is impossible to bring back the heydays of Social Security. You have to realize that most of the social security benefits will be at minimum; they are designed to maintain you just over the poverty line. I know that this is unacceptable by anyone that’s why you have to act and make the necessary changes in your life no matter if you are 3 or 30 years away from retirement. According to Federal Reserve Bank, personal savings rate in America is around 5% and this is just not good enough. Even though that rate has climbed in the recent years, it is still historically low. The time to start saving is now to ensure your wellbeing during retirement. There is professional software that can help you manage your finances, create financial goals and budgets, and help meet those objectives. Personal finance software such as Quicken, MoneyDance, or Mint.com (web based) is very automated and can jump-start securing your financial independence. But you don’t have to spend any money and still reach your goals. Just because you purchase software doesn’t mean it will save money for you. The program merely helps you get organized and stay the course; it is you who has to make a decision to reach your goals and stick to the plan. Only you can answer this question and it will depend on many issues. Many retirees want to travel and dedicate time to hobbies, majority have medical expenses, some would like to maintain their residence in cities or states that are expensive to live in as comparing to the rest of the country. Social security benefits do not warrant comfortable living in many places, it is an imperfect system but it’s the only one we have and it is better than nothing. The rule of thumb is that you should have saved 20 times your annual earnings for your retirement, but I also hared that 8 times is sufficient. 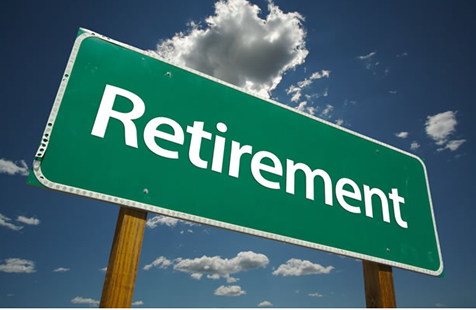 In 2011, average income per capita in the U.S. was just above $40,000 that would require someone to accumulate 320,000 for the retirement! Considering that information together with the personal saving rate, an average citizen saves about $2,000 per year. Staying conservative and assuming that wages will grow at the rate of inflation and your savings can be invested in risk free assets (usually inflation rate plus a small percentage rate) it would still take over 100 years to save 320,000! As you can see this is not feasible. Even if you combine your expected Social Security payment and would like to save smaller amount independently, you should still look to save more than a mere 5%. I realize that the Great Recession, financial crisis, structural changes that different industries are experiencing, and current unemployment and underemployment have taken toll on our finances. If you don’t have extra funds to save for future at least you have to come to realize the importance of being in control of your financials at the moment and try to spend less. With the way the system is set up right now it is the government who dictates the conditions of your retirement. Having additional funds would allow you to be in control of your life one day. How to get started? Make this one of your most important resolutions but don’t wait until January 1st, start right now. Organize you life and your finances with free or for-a-fee products available online. I suggest you start with a paper pad, #2 pencil, and a calculator – try it out, see if you can do it; armed with dedication and simple tools you can go a long way.